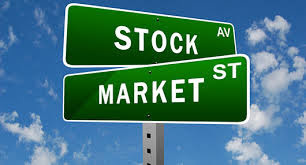 This article is the first in a series in which we cover little known stocks in the KLSE that we believe are deeply undervalued and are currently trading at a deep discount to its intrinsic net worth. For every stock we cover, we will critically analyse and systematically break down our findings in detail to try and help our readers understand how and why we have reached such a conclusion. What you choose to do with that information is your responsibility entirely. This article is NOT a buy or sell recommendation and should not be treated as such under any circumstances. Our findings merely serve as an educated opinion to encourage discussion and help retail investors make better informed choices. You’re always encouraged to conduct your own thorough research before deciding to invest in ANY & ALL counters and we will not be held liable for any of the investment decisions (good or bad) that you make. We also make it a point, out of principle, to disclose if we have a position in the company and stand to benefit/lose from any fluctuations in price. This post if the FIRST (Part 1) of FOUR parts on our first pick for our Undervalued Bursa Gems series - Ideal United Bintang International Berhad. IUBIB is a Penang-based affordable home property developer that has been one of KLSE’s star performers post-GE14. The stock has rallied over 100% in just under 2 months from RM0.70 (15/05/18) to RM1.43 (10/07/18) and much of this spectacular rally has surprisingly gone under the radar of most investors due to IUBIB's small cap nature and lack of media coverage in various local investment forums. Such lack of coverage is precisely why IUBIB is one of Bursa’s best kept secrets. Plus, we wouldn’t be writing this article if everyone already knew about it. Further, having conducted a comprehensive deep-dive fundamental research and analysis exercise on every IUBIB annual report, news article and interview excerpt we could find, even in the most conservative scenario - we are of the consensus that it’s intrinsic value is worth AT LEAST RM2.12 in the near term (by Q4FY18, to be exact). We will clearly outline our reasons for reaching such a conclusion over the next four posts. Part 1 : What’s so special about IUBIB? * Figures for FY18 have been annualised based upon Q1 results at a 0% growth rate assumption for revenue & profit (most conservative & rather unlikely scenario). A negative growth assumption is an unrealistic scenario under ordinary circumstances as projects will have to slow down considerably. This is not feasible in view of the fixed deadlines the company faces to fulfil its contractual obligations on time. Further, with the exception of the positive outlier in Q4FY17, the firm has had a credible track record of consistently growing revenues q-on-q since Q1FY16 and we expect there to be no potential mitigating factor that should inadvertently cause a slowdown in the foreseeable future. Ever since IUBIB’s executive chairman (EC), Tan Sri Alex Ooi (more on him in Parts 2 & 3) first announced his intention to scale down its loss-making heavy machinery business and venture into property development in Q2FY15, management has successfully grown both revenues and PAT by an outstanding factor of 75x and 135x respectively as of Q1FY18. Nett EPS also grew impressively by 47.5x, despite an increase in the number of outstanding shares from 70.2 million to 110.5 million during the period. More importantly, management has been able to achieve this with little or no debt AND at almost no cost to ordinary shareholders (with the exception of the potentially dilutive effects of the private placements undertaken - most of which were subscribed by the EC anyways, whose likely rationale we will be outlining in Parts 2 & 3). But in spite of the asset and equity injections, ROE has remained consistently high (25.80%) - an indication of the exceptional nature of the acquired assets and their strong income generation potential. Having analysed most property companies listed on Bursa, we are of the firm belief that there are just a handful with a low gearing ratio (IUBIB’s funds are mostly generated internally through aggressive pre-sales) and near non-existent inventory overhang (represented by the number of units completed but left unsold. This is always an issue for property developers in a saturated market with excess supply). IUBIB possesses both qualities which only makes its revenue and earnings growth even more impressive. Additionally, with the ongoing industry-wide slump facing almost all property developers (with the exception of affordable homes), Ideal’s current 12-month trailing PE of 5.4x remains extremely attractive vs the industry average of 7.3 (we were lucky enough to purchase our shares back in June at an average cost of just RM0.92 when the 12-month trailing PE was still a mere 3.5x). This despite the fact that its share price has already rallied almost 100% over the last 3 months. However, even if our most conservative projections are correct and cumulative FY18 EPS goes on to exceed at least RM0.532 by Q4, at the last closing price of RM1.32, Ideal would be trading at an incredible FY18 forward PE multiple of 2.4x - making it deeply undervalued even at prevailing prices. The stock has also been consolidating between RM1.30-RM1.35 on low volumes for the past few weeks. One of the main reasons why the stock experienced a marvellous breakout rally prior to the consolidation was its relative illiquidity. Prospective buyers who were impressed by the 4x and 7x y-on-y rise in revenues and profits after the last QR results on 25/05/18 had to pay increasing premiums each passing day as the number of sellers in the market decreased. And judging by the fact that those numbers are set to continue, if not bettered in Q2, we think it’s a good time to buy into the company before the QR numbers are released early in the final week of August. If not for the fact that we have already used up our entire (albeit limited) fund allocation for IUBIB way back in June when we made our first purchase, we would be averaging down even further (we also don’t intend to cash out until the stock appreciates to within a few cents of our target price, which is only then reflective of its true intrinsic value). We also think the warrants are deeply undervalued at present and in hindsight, one of our biggest regrets is that we opted to buy the mother shares back in June as we were not confident enough about the liquidity of the warrants. Had we bought WB instead and sold at it’s all-time high of RM0.72, we would’ve stood to make a 133% gain relative to the modest 100% mother share gain over the same period. Today, the warrants are trading at a steep RM0.12 (16.6%) discount to the average rally price of RM0.70 when the mother share was correspondingly trading around the RM1.30 mark (as it is today) and we believe it represents good value as a proxy if you’re looking to invest and hold for a few months. In Part 2, we will be looking at the factors that have been driving IUBIB’s consistent revenue & profit growth thus far over the past 12 quarters while Part 3 will be a detailed analysis on the company’s asset injection strategy led by its executive director and owner of the privately-held Ideal Property Group, Tan Sri Alex Ooi. Last but not least, Part 4 will cover IUBIB’s future catalysts for growth that has also been the subject of constant speculation ever since PH won GE14 and will provide further insight as to why we think IUBIB has and will continue to be a Bursa undervalued gem will into 2019.